There is never just one need. There are always more. 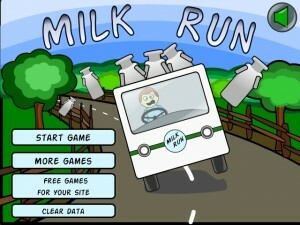 The milk-run salesperson accepts the first one that appears, tries to meet it and moves on. Busy right? Lots to do. Efficient. Except they don’t learn anything. Without learning, a salesperson is at the mercy of the market. The successful salesperson moulds the market, and is not a victim of it. You know the needs – cost, time, quality, quantity – any business metric. Then add risk and warranties , maintenance and strength of relationship/trust. But it’s the other needs – the personal ones – the ones we don’t talk about at parties – that are the hardest to judge and assist with. Would you like to know if your client gets a personal bonus on this deal, if promotion is damaged by failure, if there is a ‘get square’ – old fashioned revenge for past negotiations gone wrong. What if they have made other mistakes, become politically isolated, or are about to move into another role? How do you spot these needs? Do you see them, enquire after them, learn about them? Think of 3 of your development clients (not big yet, but on the rise) – what do you know about them really? Or is the schedule of the milk-run – your need – more important. ENS International will help you to see these needs. Look out for their public programs in all capital cities. Or call me to discuss. 1800 25 99 66. If 80% of the outcome of a negotiation can be attributable to the preparation, then quick footwork when face to face must account for the rest. Right? The popular culture of good negotiating does appear to favour the gambler. The tricks, shout downs, stubbornness and on the spot, tactical play seem to be the focus of most negotiation development. No doubt being sharp, fully present, is important. Some hard-nosed, pressured operators (maybe some lawyers or snr engineers as general examples), using a quick scan of the file, and bullying tactics feel powerful and efficient. They crash or crash through, use speed as a bullying tactic, rush to conclusions, and move on – with even less time for preparation on the next problem. Success creating failure. When time is short, where does preparation sit in our priorities? Optional, so just wing it and use bravado to cover up. When the other party is familiar to us, what type of time is least essential? Preparation. When we are certain of victory, why prepare, or waste time on due diligence? “80%” clearly doesn’t translate into common practice the way evidenced-based endorsements suggest they should. All professions have a technique – a style used by the elite that others want to copy, that maximises strengths and limits risk. Drift away from technique, and the consequences are inevitable. Do the maths. 80% of the value of a negotiation is decided prior to walking into the room. Hope is not a strategy. Do the work. What’s your technique like now? Would you want others to copy your style? How able are you to articulate your style, or is it all self-taught gut-feel? If you want to learn the best technique, then ENS International delivers the gold standard, with RioTinto, BHP, Thiess and Optus as long-standing, loyal advocates for the best technique. Call them – www.negotiate.org – and on +61 2 9299 9688.